I was pretty excited when Colette released her new knit patterns and I took advantage of the release sale to nab me a Moneta! I’m a big fan of knit dresses, since you can just throw them on and be ready to go, and they’re super comfy to boot. I made this Moneta up in a cotton knit I got from my new local fabric store (as in, it’s new to me) Centrepoint Fabrics. I was walking past and thought I’d pop in and see if they had any cute knits…turned out I didn’t even need to enter the store, as they had a bolt of this on display outside! It was on sale, and 3.5 yards (more than I needed, clearly after 2 and a half years away from Australia has destroyed my ability to think in metric) was $27. Bargain! The fabric is thicker than other knits I’ve dealt with, nice and stable, and (sadly) just the tiniest bit itchy. 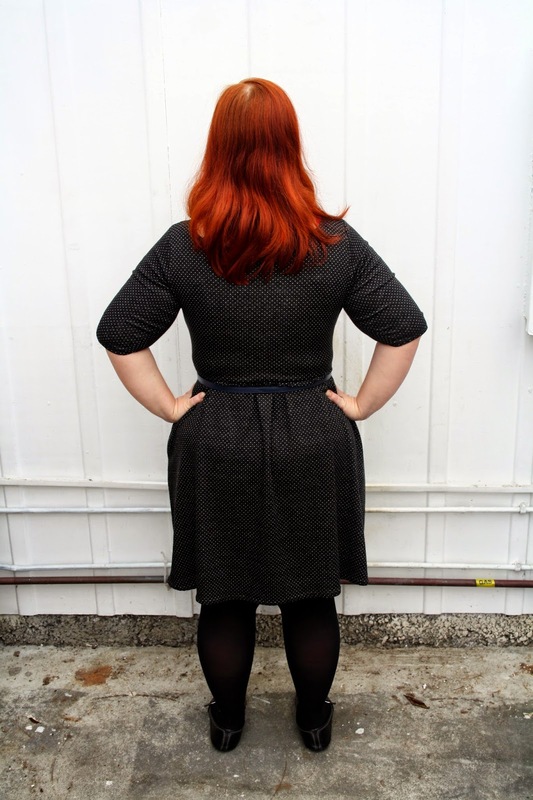 I made my Moneta in size L, since my measurements pretty much perfectly corresponded with that size. I didn’t want to make a muslin, as I have hardly any fabric right now, so I made my adjustments blind. Using my Kelly skirt as a yard stick, I shortened the skirt pieces by quite a few inches. I also shortened the bodice pieces by an inch, and I really wish I hadn’t, as the bodice sits juuust above my natural waist, which I’ve cleverly concealed with a belt 😛 My experience with the Lady Skater taught me that I should shorten the bodice of knit dresses, both because I’m short and because the weight of the skirt tugs things down, but the Colette Moneta bodice seems shorter than patterns I usually deal with, and although this fabric is weightier than a lot of knits, it’s also really stable and doesn’t stretch out of shape much. So no bodice shortening was necessary! Oh well. I also shortened the sleeves, because I wanted the 3/4 sleeve length and on me the original sleeves would have been almost full length! I don’t have a serger, so I followed Colette’s advice in the pattern instructions and sewed my seams with a narrow zig zag. I was very pleased with how stretchy they were – I’ve previously used a wider zig zag on my knits, and it didn’t produce as nice a stretch. 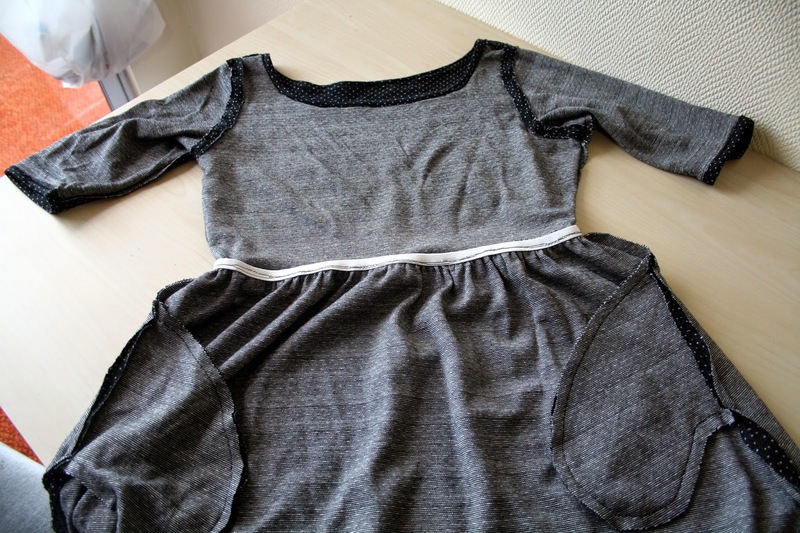 I paid an outrageous sum for a ballpoint twin needle to sew the neckline, and hem the sleeves and skirt. $14 for a ballpoint twin needle! Ugh. Anyway, twin stitching the neck and hems went very smoothly, and I discovered that when I did it on my Brother machine in the US, it wasn’t working properly! Having never done it before, I didn’t know it should have a clear zig zag appearance on the wrong side, so I was pleasantly surprised when my Husky produced a lovely, professional looking finish. Here’s a picture of the inside of my dress – you can see straight away that I made a small change to the pattern – I didn’t use clear elastic to gather the waist. I loathe clear elastic – it’s scratchy and horrible against my skin, and after an abortive attempt to use it for a Lady Skater once, I’ve steered clear. Instead, I used regular old white knit elastic. Gathering went smoothly, probably because my knit was so stable – I know others have had problems using thinner knits with the gathering. 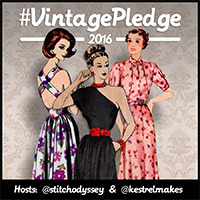 All in all, it was a very quick make – I made it up on one day, bar the hemming! I’ll definitely be making another one, as I spied some awesome striped knit fabric in another local fabric store last weekend that has mine and Moneta’s names written all over it. → Come Sail Away With Me! 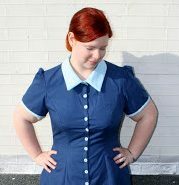 Lovely Moneta and I am going to steal your elastic idea as I had so much trouble with clear elastic when I made mine! Looking forward to seeing your stripes version!